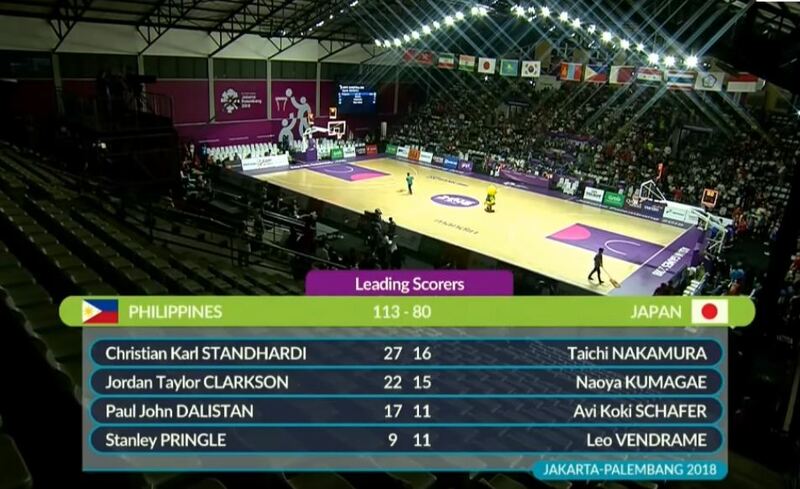 Gilas Pilipinas defeated Japan with the final of score of 113-80 on 2018 Asian Games, held on Jakarta, Indonesia, August 28, 2018. Christian Standhardinger is the best player of the game with 27 points (11/14 FGs) along with 13 rebounds and 3 steals. Alongside with Jordan Clarkson who got 22 points, 6 rebounds and 9 assists for Gilas Pilipinas in a win against Japan in the Classification Phase of the 2018 Asian Games.